Following on from the success of our breakfast waffles with caramelised bananas, we thought we’d try our arm at a savoury dish this time, and what better combination than bacon and eggs. 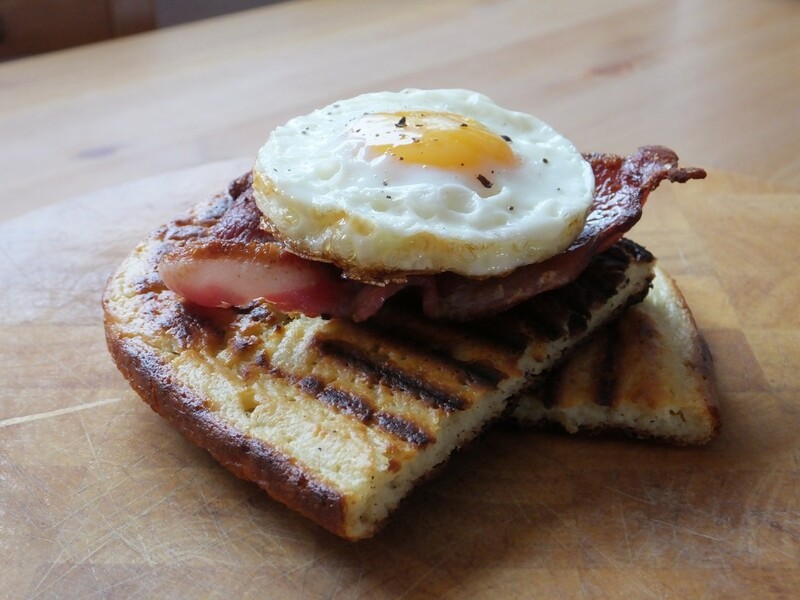 If you’re a fan of bacon and egg butties then you’ll love this twist on a British and Irish breakfast favourite. The salty, crispy bacon complements the sweet, soft waffle, and the runny fried egg is perfect for dunking the waffle into. Get your dunk on!! Serves 2 (if you are cooking for more than 2, adjust the measures accordingly). 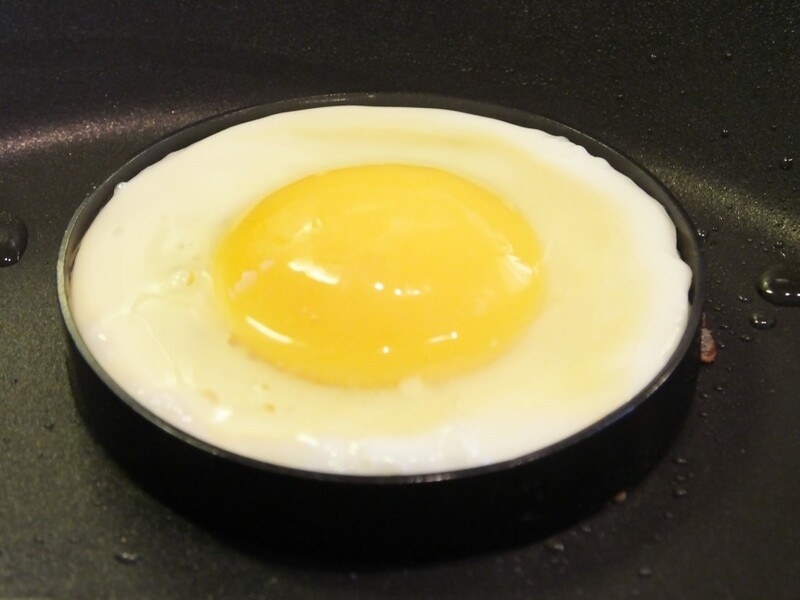 Start off your waffle mix by cracking your egg into a large bowl and adding your milk. Whisk this to combine and then add the self raising flour, baking powder and salt. Start to whisk your mix together until smooth. Now add your cooled, melted butter, gradually stirring through. Once your mix has been stirred through to a smooth texture it is ready to use. Any further mixing will just make your final waffle a little tougher. You want, a light and fluffy mix as this will enhance the end taste of your waffle. If you have a waffle maker, add the mixture to it. If like us however, you don’t have a waffle maker, you can use a griddle pan (the result will be the same). 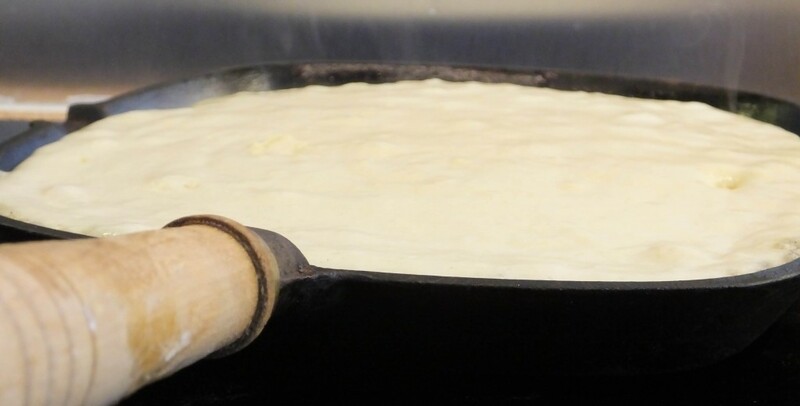 Put your pan onto a medium heat and melt some butter. Once the butter is melted, add your waffle mix. Pour the mix into the pan, spreading it around to fill the pan at all sides. Cook the waffle mix for 8 – 10 minutes on a medium heat on both sides. Take care when flipping the waffle as it is fragile, but if it breaks it will still taste amazing, and you can serve it up in different sizes for that authentic, rustic look. Alternatively you can divide the mix into two portions to cook. You will notice the mix rising as the waffle cooks. Ensure it has a golden finish on both sides. Cut or tear the waffle into 4 and put onto your plate. 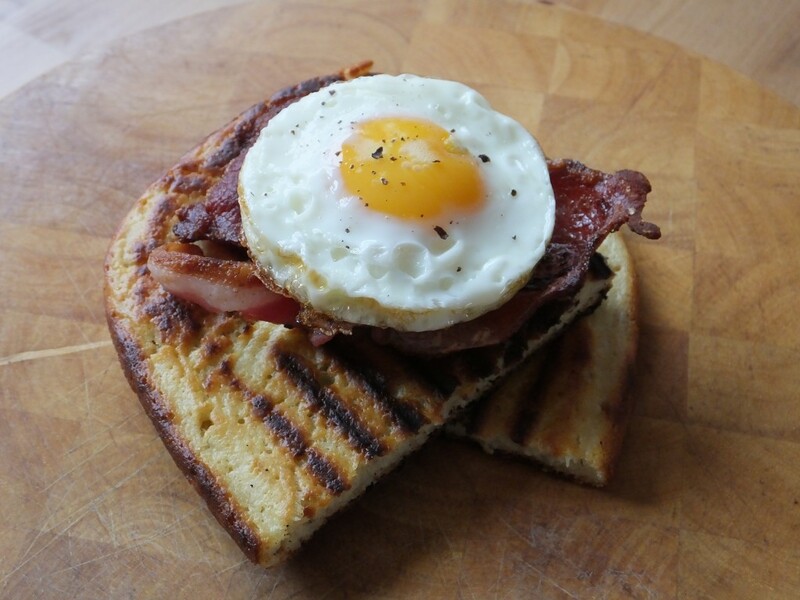 Layer with the crispy bacon and top with your fried egg. Season with some freshly ground black pepper and enjoy. Have you tried making your own homemade waffle dish? Share your photos with us and let us know how you got on by connecting with us on Facebook and Twitter.